Instead of a dedicated device, Home Hub as it is titled is a software feature that Microsoft will release. No more Windows 7 or 8.1 starting today November 1st only what is left on someone shelve. Comcast adding more data caps across their network. Starting November 1st, Comcast will be imposing a data cap of 1 terabyte per month. Linux just turned 25 year old and Microsoft says "I Do". Microsoft hired a linux expert from Oracle a few month ago. Wim Coekaerts, corporate VP of Microsoft Enterprise Open Source Group was hired to head up Open Source Software and Linux. 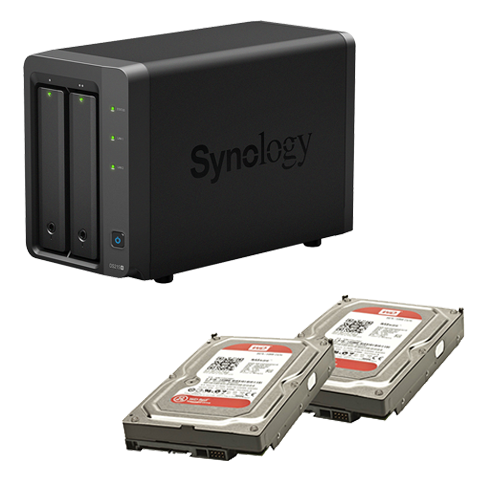 Besides the previous month idea of using Synology for your storage and having remote access to it, another idea using portable backup storage exists. The product name is called RAVPower. It provides portable charging for your mobile devices and one model provides charging, file server services and a build-in access point, all for around $30. Add this website for youtube streaming: http://en.savefrom.net/. •Backup Storage: transfer files between sd cards ,usb drives and your devices(phone/tablet/camera) to free more space up for your devices. •SD Card USB Reader: wirelessly recognize USB flash drive, hard disk, SDHC, SDXC cards with your devices (phone/tablet/computer)via APP. •Wireless Bridge: bridge an existing wireless network, create secure Wi-Fi network, and share with friends or families. Never pay for multiple network. •Media Streamer: seamlessly stream your videos, photos, and music from attached storage devices with your smartphones, tablets, and laptops via APP. •External Battery Packs: built-in 3000mAh power bank (5V/1A) can be an emergency battery backup. One of the things you need in your network is backup storage. Synology makes an inexpensive device to do this job plus extras that come with this device. Local, cloud, and sync backup services are available for all of your pc's and servers, Synology has the capability of being an all purpose media player. Music, photos, movies, and radio that is available almost anyway, at home, at office and on your mobile device. 1. Fewer Bugs and Faster Fixes, more developers are involved. 2. No Upgrade Push, upgrades are slower and minor in nature. 4. Low Cost and Added Value, better security, with quicker bug fixes. 5. Take control of your software, can be modified to suit your needs. 6. Escape Vendor Lock-in, the ability to use different programmers. 7. Lower cost of ownership, most cases it is free, the only cost is modifications. 8. Greater Security & Quality, most developers are involved and scrutinize the code. 9. Continuity, the code is not dependent on any one source, it's open. About 3-years ago, I cut the cord to my entertainment, Comcast for while and Dish for while, at least 200 channels. There were times when nothing of interest was on. And the costs, $100 plus per month and equipment rental so I made a change. Currently, using an outdoor antenna (one time costs of around $150) and receive in the Nashville area, around 25 channels, each of the major affiliates have 3-channels a piece. I have Amazon prime ($99/year)and SlingTV (25 channels for 20 bucks). Sling supplies the cable channels with content such as CNN, AMC, A&E, HGTV & etc. All of this is supplied over the internet. Of course, you have other choices such as Netflix and Hulu. There are times, there is nothing of interest on but at a lower monthly price, $30/month. Windows 10 might have some worth after all. for anyone. EVERYONE Knows the government cannot do anything right. and overall have poor management and corruption in all areas. On January 12th, Microsoft will all support to Internet Explorer 8, 9, and 10. Internet Explorer 11 which is part of Windows 7, 8, & 10 will still be supported with security updates. Your best bet is to use a more secure browser such as Google Chrome or Firefox, these are better, faster and offer better security overall. Microsoft is wanting you to upgrade to Windows 10. The annoying Window 10 pop-ups appear even after turning this off, will eventually comes back via updates. There is a free program that you can download called GWX control panel which will disable the Windows 10 update pop-up and delete the pre-install files. But Microsoft is overriding these changes and enabling the prompt for Windows 10 install. GWX should be run again. Thus, users should be aware of automated updates and review them before they are installed. When browsing the web with your favorite browser, never, never, never download anything you didn't ask for or told you need. This is the best way to get malware and/or virus. Be particular and use caution cruising the internet. This new security for credit cards in the U.S. was mandatory and implemented this month. This technology works by checking your security pin which is stored in the chip on the card. If the pin matches then the transaction is valid. Hackers put a very thin overlay on top of the chip that accepts any pin and validates the card and transaction. Besides having lots of privacy issues. There are problems with your day to day operation. You will spend or I should say waste time trying to run this new operating system as your daily driver. Updates are pushed and are mandatory. They fix some things and break others. The mail client seems to come and go as far as dependability. If you feel you need to install Windows 10 then use the customize installation, each of the options are shown and accessible. Be very patient. Again, wait 6-months and see. Windows 7 and 8 will be supported for another 5-years and we know these operating systems WORK without loosing our privacy. Window 10 has a lot of privacy issues. NO privacy is what I should say. If using the recommended express install, this equals NO PRIVACY. You will spend hours trying to turn off all the options. If you feel you need to install Windows 10 then use the customize installation, each of the options are shown and accessible. And now they are saying there are a few bugs. Service pack updates on the way. I say wait 6-months and see. Windows 7 and 8 will be supported for another 5-years and we know these operating systems WORK without loosing our privacy. Hacker hacks Jeep and controls the brakes. All Chrysler Products can have this same problem. And you might be the one to fix it. FireFox blocks flash player, Facebook calls for the end of flash. The Chrome Browser continues to gain users over Firefox. Hackers have home routers in their sites. Homeowners typically buy inexpensive routers because of the price and they think it will do the job of security. The manufacturers of these routers don't keep their products up to date with the latest security patches, there is no incentive to do so. DIVERSIFIED Electronic Service believes we have a better solution for home and office using Draytek routers. Draytek is a state-of-the-art networking and telecommunications equipment manufacturer of cost-effective next generation multi-WAN business routers and VPN firewalls. DrayTek’s flagship solutions include next generation multi-WAN business routers and firewall, data center load balancing, web content filter, VPN and network security. DrayTek’s Vigor product line ranges from cost-effective feature rich SoHo routers to super fast VPN concentrators and superior routers for Medium and Larger Multi-location businesses and even data centers. The new FaceStation is a dedicated face recognition terminal. It is a perfect combination of beauty and performance. Using Suprema's proprietary algorithms combined with state-of-the-art hardware, FaceStation provides near real-time template matching results. FaceStation comes with a wide array of features & functions, which can be accessed through an intuitive user friendly GUI. It can be used in both standalone or network environments and is the ultimate in facial recognition technology. Microsoft has announced it will release its latest operating system, Windows 10, on July 29, 2015. The upgrade will be free for PC users of the Windows 7 and 8 operating systems installed on their PCs. On June 1st, Microsoft began issuing an application via its Windows Update notification system known as the Windows 10 Upgrade App. This app will notify you of your upgrade eligibility. DIVERSIFIED Electronic Service would caution everyone about the risks associated with automatically installing this upgrade. It could cause problems with your current software and we urge you to wait a few months before upgrading. You have a full year to exercise your free upgrade. Diversified Electronic Service now can create a more powerful computer with a smaller footprint than ever before known as the "NUC" Next Unit of Computing. We’re able to make a computer that games with crystal clear graphics for gaming, super fast media server capabilities and home theatre duties all from the comfort of your sofa. Blazing processing speeds mean less waiting for boot-up and ensures you’ll never miss an email, IM or updates to your social media accounts, even while you work or play. Call or connect with us today and let us show you more about this tiny but brawny computer. Noisy RF environments can reduce throughput and cause high data rates. Say goodbye to all of that with new technology from UBNT with an active radio frequency filter that provides advanced channel filtering for the noisiest environments. Using new patented technology, Ubiquity networks introduces airPRISM™ technology, airPRISM™ creates a high Signal-to-Noise Ratio (SNR) by isolating signals within the operating channel and rejecting interference using specialized circuitry, the High-Selectivity Receiver (HSR). The airPRISM™ technology also removes adjacent channel interference and enhances co-location access points. Two cameras in one: Thermal sensor plus 5 MP sensor module can be displayed simultaneously in the dual image.